One way to support our causes is to provide much-needed supplies to bring on our trips. Our participants start making an impact even before leaving their home by hosting donation drives, picking up supplies, and transporting them in their luggages to the project location. If you would like to give back in this way, please let us know by filling out the Donation Form below to itemize your donations. 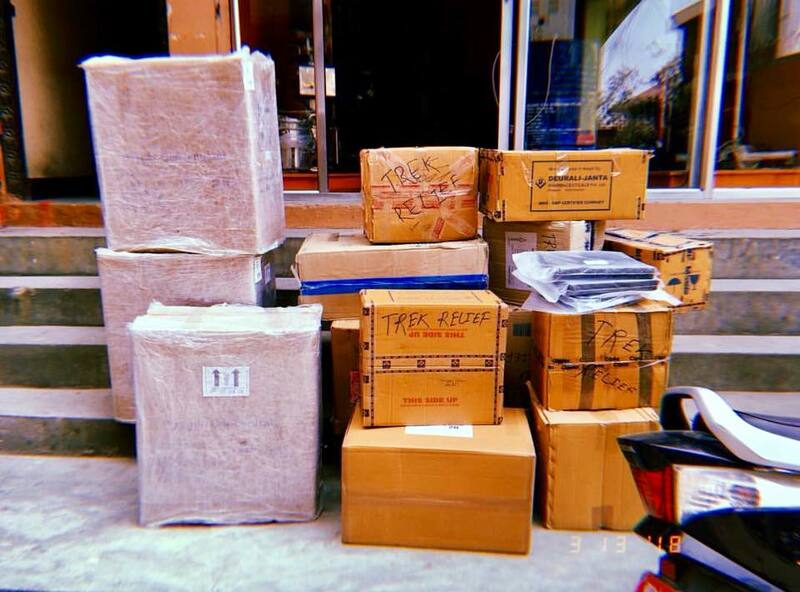 Trek Relief is not responsible for picking up or storing donated items. If you can't make it on one of our trips, check out our Facebook events below to see if there is a participant in your area who can deliver the goods to the project location for you. Medical supplies - Medical supply donations would be highly valued for the newly built Mundu Health Post in Langtang Valley. Above all, medical instruments would be most valuable contribution since medicine is generally cheaper in Nepal. School supplies - Schools are in need of current educational posters, maps, and science teaching materials (English language is acceptable). Laptops, projectors, notebooks and pens/pencils are always welcome. Children’s books and toys - New and used items in good condition are provided to orphanages in Kathmandu that house many children. If you have time, we would recommend arranging a visit to the Bal Mandir orphanage to deliver these personally. Silent auction items - Support Trek Relief without leaving the country! We are continually seeking in-kind donations of goods and/or services to be used as prizes in our silent auction fundraisers. If you would like to offer a gift to Trek Relief, please fill out the Donation Form. Our next fundraising event will be posted on our Facebook events page.